MORGANTOWN, W.Va. – Brayden Vance, age 11 from Jolo in McDowell County, is like many boys his age. He likes to play football and spend time with his three brothers and sisters. However, a kidney condition he had since birth put him on the sidelines. When Jennifer Vance was pregnant with Brayden, doctors noticed an abnormal amount of fluid on his kidney. After he was born, Brayden’s doctors discovered that the ureter connecting his kidney to his bladder was blocked. He was given antibiotics, and his mother was assured that the condition would resolve itself as he grew. Over the next eight years, Brayden would undergo six surgeries and see doctors at hospitals in Charleston, Virginia, and North Carolina. Because the family’s insurance determined a procedure to remove a temporary stent that had been inserted to allow proper ureter function was not medically necessary, he began to develop kidney stones and was in pain that kept him from living a normal life. Brayden’s doctor in Charleston referred him to Osama Al-Omar, M.D., chief of pediatric urology at WVU Medicine Children’s, because of his reputation for treating difficult cases. 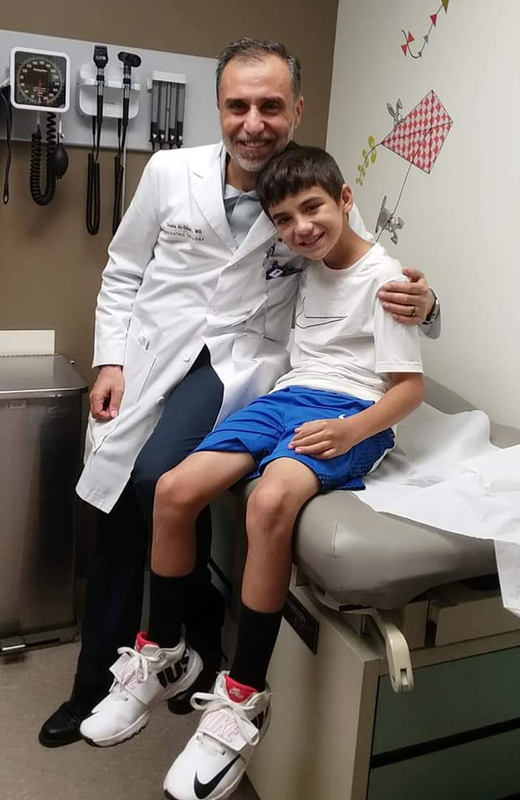 After performing new scans, Dr. Al-Omar identified a surgery to correct the defect in Brayden’s ureter and to remove the stent and kidney, ureteral, and bladder stones that had developed. Two teams, led by Al-Omar and Chad Morley, M.D., director of minimally invasive urology and stone disease, were formed to endoscopically approach and remove the stones and the stent simultaneously from above and below, greatly decreasing the time needed to perform an already lengthy surgery. Now, Brayden is back to doing the things he loves. He plays football with his siblings and has the energy and stamina of most kids his age. His mother says that he looks forward to playing football with his teammates at school again. Brayden will continue to be monitored to make sure his kidney continues function properly, but he has been healthy since his surgery.